A good travel coffee mug should be lightweight, portable, practical, and sturdy enough to withstand a fair amount of abuse before showing any signs of damage. Although travel mugs aren’t exactly supposed to be fashionable, you also want one that you can carry by hand without making the situation too conspicuous. At the same time, you want a coffee mug that will provide all the practicality it should, be it that it holds hot or cold beverages. Depending on how they’re built, these mugs should be able to hold almost any liquid without any sort of leakage and without being too bulky in design. Speaking of which, the design of a travel coffee mug has to be rather versatile in nature, so as to fit into any car cup holder or luggage you might use it with. Fortunately, the market has a wide selection to offer when it comes to travel mugs, as you can find good ones in almost any price range. On a related note, good travel coffee mugs don’t necessarily have to be expensive, even though the really good ones usually command a slightly bigger price tag. In regards to their ergonomy, even the inexpensive ones should prove easy to handle and reasonably sturdy. To find a good one on a budget, however, you’re going to have to first learn about the characteristics that best define a quality mug to begin with. To give you a better idea of what’s out there, we put together a list of the ten best travel coffee mugs money can buy. Ello Campy is a unique travel coffee mug that combines the aesthetics of a vintage camp cup with innovative vacuum insulation and adds a soft-touch, convenient handle. It also boasts a fully leak-proof slide lid that is easy to open and close in a timely fashion. This vacuum-insulated quality stainless steel mug will preserve your coffee hot for 5 hours or cold for up to 10 hours with no issues whatsoever. Not only that but we should also point out that it features a reliable lid that is 100% dishwasher safe. 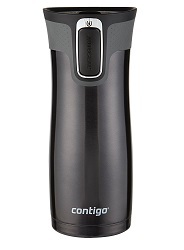 This great travel mug by Contigo is made of stainless steel for added sturdiness. At the same time, the 72086 AUTOSEAL Transit is designed to protect your coffee from dirt and loss of flavor to provide a clean and fresh drinking experience while on the go. Besides its reliable leak-proof features, a commuter-friendly CleanGuard spout cover on the lid closes off the sipping area when you are not drinking and protects the opening against dirt or other impurities. The mug is Therma-lock double wall vacuum insulated, which keeps your coffee hot for 5 hours and cold for 12 hours. Furthermore, the outside of the mug is designed to be cool-to-the-touch and also sweat-proof. The RTIC’s 96 Tumbler features a double-wall vacuum insulation for keeping your coffee hot or cold for your fresh sip while out there. RTIC 96 features an all-new, durable Shaded splash lid through which you can tell how much coffee is left. This lid integrates a flip-top closure that is not only spill-resistant but also straw friendly. Everything from the lid to the tumbler is easy to clean, which recommends the mug for a more all-around use, not just for traveling. The Stanley Classic is a fully leak-proof, easy-to-use travel mug that can keep coffee hot for 7 hours and cold for up to 30 hours, thanks to its functional legendary Stanley double-wall vacuum insulation. The one hand push-button lid operation makes it quite fun to use, closes tightly to prevent spills, and it is also simple to clean. 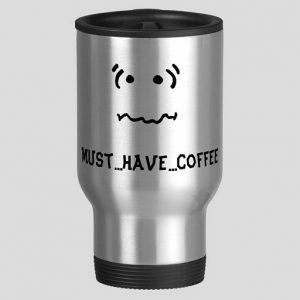 Made of durable stainless steel, this travel coffee mug is BPA-free and guaranteed to withstand a fair amount of abuse before showing any signs of damage. This is something one should always consider when buying a travel coffee mug and it is definitely one of the Stanley Classic Mug’s strongest features. From the Sipp Thermos products line, this is a high-quality 16-ounce travel mug ideal for preserving your coffee or any other beverage for that matter. It has a sleek design and great features like the TherMax double-wall vacuum insulation that helps keep drinks hot for 5 hours and cold for about 9 hours. It also has a BPA-free Eastman Tritan lid integrating a tea hook for holding tea bags. This lid is leak-proof to prevent spills and loss of coffee flavor and offers easy one-hand push-button operation. Made of stainless steel, it is entirely dishwasher safe and easy to look after. The SnapSeal by Contigo is a reliable travel coffee mug with a single-piece, no-leak lid that, as well as preventing spills and loss of flavor, is very simple to clean. The easy-to-clean, dishwasher-safe lid easily snaps up when you want to drink and again snaps closed when you are done. The mug also features a comfortable grip, allowing one-handed drinking experience using either left or right hand. 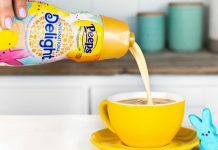 It also has to be said that its design fits most single-serve brewers and also car cup holders, a versatility that recommends it for people who don’t always travel using the same car. The Hydro Flask W18FP001 Travel Mug features a TempShield insulation to keep your hot coffee hot for 6 hours and cold brew cold for 24 hours. It is tightly sealed to ensure no spills, leaks or loss of flavor, keeping your coffee fresh all along. Moreover, it has a similar size to most at coffee shops, allowing you to have your caffeine fix without the need for a disposable cup. It is also made of durable stainless steel and is entirely BPA-free and phthalate-free both, so as to add to its already proven value. Thermos is a popular brand in the industry and one of the very best in the world when it comes to manufacturing mugs, flasks, and food jars. This travel coffee mug/tumbler is without a doubt one of their best ever made ever. We say this because it features a vacuum insulation technology to provide optimum temperature retention for hot or cold drinks. Made of durable stainless steel, this is a cool-to-the-touch and also sweat-proof mug. Furthermore, it integrates a tea hook for holding loose-leaf infusers or tea bags, which is great considering that its design fits most cup holders and is single serve compatible. With a beautiful and sleek design, you can use this practical travel coffee mug to enjoy your coffee as hot or as cold as you like on the go, thanks to its high-performance stainless steel vacuum insulation. The SlickSteel finish it features on the interior is both corrosion and stain resistant, which give it an impressive insulation standard. This construction also guarantees against accidental leaks or spills since the easy Flip-Open lid integrates a functional safety lock and is tight-fitting. Speaking of which, the compact design is space efficient and thus travel-worthy. The Contigo AUTOSEAL West Loop is an incredibly popular choice of travel coffee mug, one that combines quite innovative technologies and an admirably intelligent design to suit any commute, lifestyle, or purpose. The easy-to-clean, 100% BPA-free AutoSeal West Loop comes in 3 sizes: 16, 20, and 24 ounces. Its lid is leak and spill-proof, keeping your drink sizzling hot for up to 5 hours or ice-cold for 12 hours. The design is convenient to use with one hand only and comfortably fits in most car cup holders. Overall, it is perhaps one of the most practical travel coffee mugs the market has to offer. What differentiates travel coffee mugs from regular models is their capacity to withstand sudden changes in temperature and their increased sturdiness. At the same time, you can expect travel coffee mugs to be much more accommodating when it comes to fitting them inside cup holders and travel bags of any kind. As such, you should be looking for quite specific characteristics when buying one, not just for practical reasons but also in regards to its aesthetics. The first thing that should concern you with travel coffee mugs is whether they can withstand abuse without leaking their contents. In this respect, some mugs are definitely better than others, mainly stainless steel mugs made by reputable brands. Not to say that plastic or ceramic mugs can’t also be reasonably durable, although stainless steel is by far the better option for obvious reasons. You also want to pay attention to the mug’s leak-proof seals and its overall ability to keep its contents safe at all times. It often happens with low-end coffee mugs that they begin to leak when you turn them upside down or if you store them in an awkward position. A travel mug should maintain its leak-proof nature at all times so that you can not only store them in cup holders but also to carry them with ease in luggage or backpacks. In order for a coffee mug to perform as expected, it has to provide a high standard of heat retention. Even more so when it comes to travel coffee mugs which are often subjected to sudden changes in temperature. You definitely want the mug to keep your beverage at a drinkable temperature for as long as possible and this all starts with a good heat-retention build. 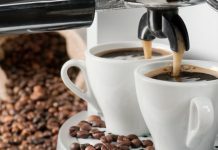 For the most part, double-walled stainless steel mugs are the best when it comes to retaining heat, although you can expect some ceramic mugs to perform reasonably well. Perhaps a somewhat broad term, we refer to usability when dealing with a mug’s ergonomic design and its maneuverability. In principle, you want a coffee mug that you can manipulate with just one hand. At the same time, you should be able to open and close the lid using just one hand, especially if the mug is a bit larger than normal. Interestingly enough, some of these mugs benefit from small openings at the top that enable you to sip the contents without having to take the whole lid off. Another thing to consider with coffee mugs of any kind is just how easy they are to clean. While most of these mugs are dishwasher-safe, you can’t really expect all of them to meet the same structural standards, especially with pretentious materials like ceramic. Stainless steel and plastic mugs, on the other hand, can be washed in almost any way you see fit. Speaking of which, mugs that require that you wash them by hand should definitely boast wide openings and lids that you can disassemble with ease. Compatibility – It is essential for a travel mug to fit into most cup holders, regardless of the vehicle. Although a universally accommodating mug doesn’t exist, those that fit standard cup holders are usually the most popular for obvious reasons. In this respect, look for mugs that you can place inside a cup holder without the risk of it toppling over. That said, you also want a mug that you can pull out with ease as you take the occasional sip. 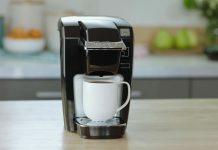 Microwave-safe – Seeing how many people prefer to reheat the coffee inside the mug without using an extra recipient, you might want to invest in a mug that you can microwave. You need to know that stainless steel mugs, although very sturdy and durable, are NOT microwave-safe. In fact, ceramic mugs are by far the safest with regards to their resistance to being microwaved, which can also be said about plastic mugs with the notion that these mugs can sometimes leave a plastic aftertaste behind if you do it for too long. Aftertaste – Last but not least, consider the fact that some mugs may give the drink a strange taste if stored for long periods of time. This is generally what happens with plastic mugs, unlike ceramic mugs that are very unlikely to add any of its own flavors to the beverage. To some extent, it can also happen with stainless steel mugs, but not electro-polished mugs that benefit from a state of the art heat retention and insulation.